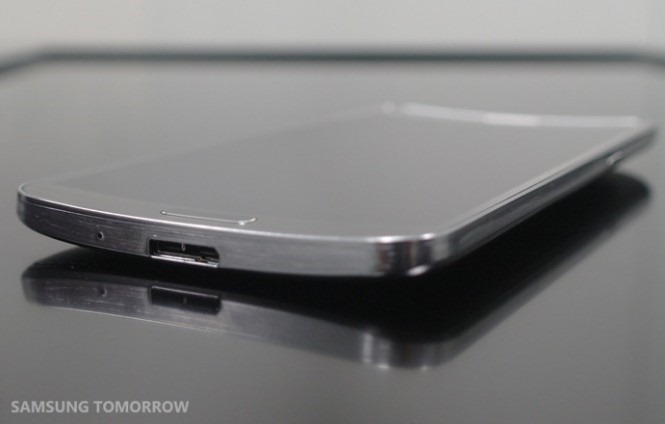 We saw the usual leaks earlier today, but Samsung has just officially revealed their curved-screen device on Samsung Tomorrow. The phone goes by the name Galaxy Round, which is almost surprising, considering Samsung's pathological need to tie things into the Galaxy S line as of late. In addition to the unique curved screen, it's basically a Galaxy Note 3 minus the S-Pen. The screen is the star of the show here: with a size of 5.7 inches and a 1080p resolution, it's similar to the one found in the Note 3 plus a bit of curvy Super AMOLED magic. 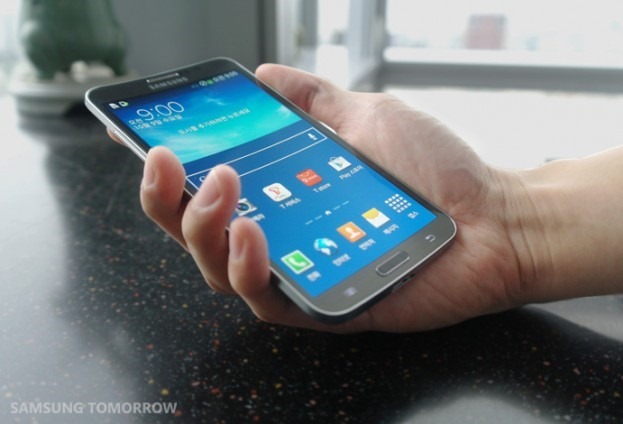 Samsung says that the design enables the large screen to be easier to use with one hand. Lest you think this is some kind of gimmick, the phone also has at least one software enhancement that takes advantage of the unique shape of the screen and body. With the Galaxy Round lying on a flat surface, the user can tilt one side of it up for a quick look at notifications and status, a la the Active Notifications in the latest Motorola devices. OK, it's kind of a gimmick. You can also go backwards and forwards in the photo gallery or music app with short rolls to either side (which Samsung is calling Bounce UX). And yes, it looks like someone took a regular phone and left it in the microwave for about 20 seconds too long. The rest of the specs are top-notch for an Android device: the processor is a 2.3Ghz quad-core (make unknown for now - with LTE Advanced, it may be a Qualcomm) plus 3GB of RAM, and it's got the same 13MP rear camera from the GS4 and Note 3. 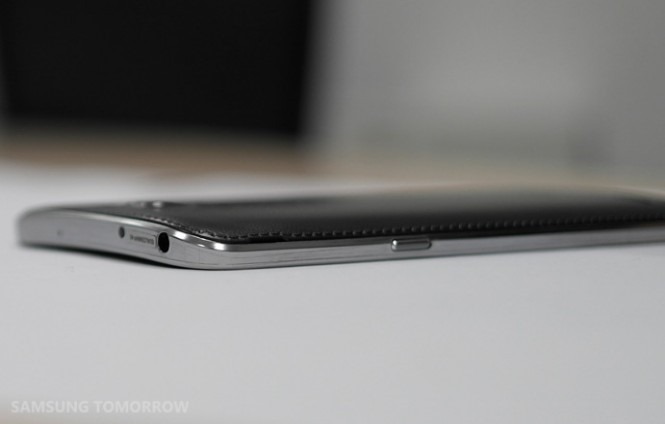 It's also admirably slim at 7.9mm, though that probably doesn't include the curvature. 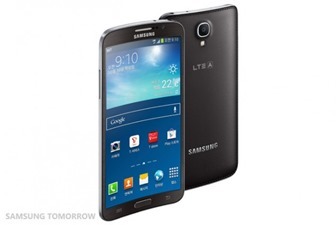 Software is Samsung's TouchWiz Nature UI plus the aforementioned goodies on top of Android 4.3. 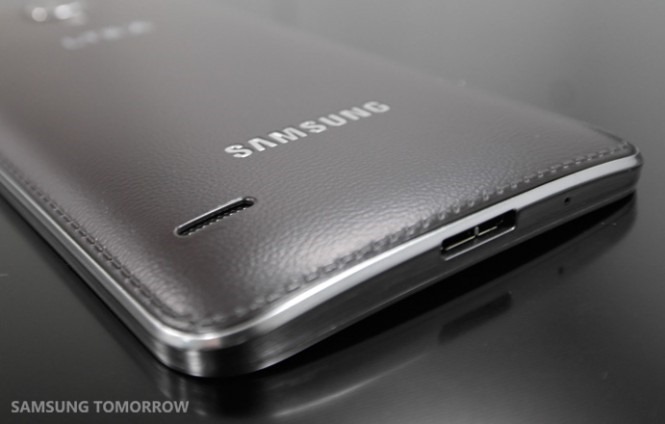 Look closely and you can see that it uses the same faux leather style as the Note 3. 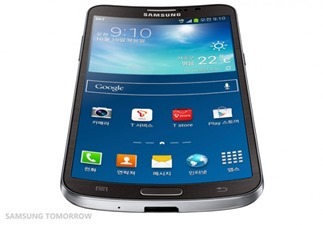 At the moment Samsung has only announced the Galaxy Round for release in South Korea tomorrow at a price of 1,089,000 won - roughly $1000 USD, and about the same price as the Galaxy Note 3. The company may be using its home turf as a testing ground. 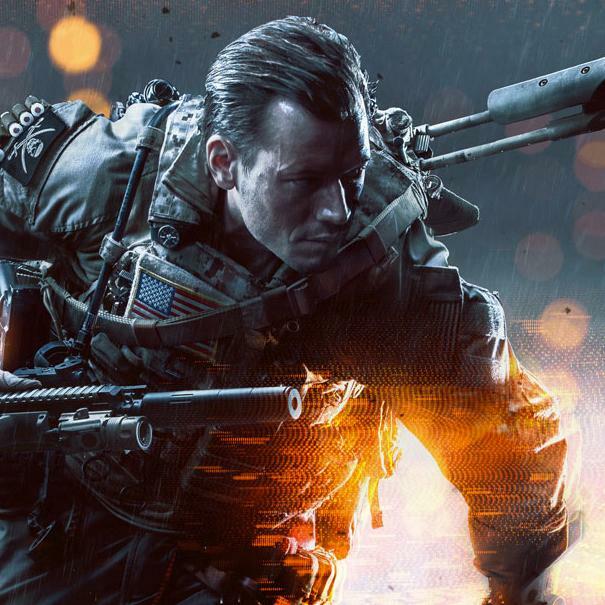 International releases are usually announced as such, so don't expect the Galaxy Round on western shores any time soon. Now we get to wait for LG's inevitable competitor.